From the center of the town, tourists can take a motorbike drive on a 12km journey to get to Bac Waterfall to admire poetic landscapes on either side of the street. Upon arrival at the waterfall, travelers can enjoy a pleasant weather which helps refresh their minds and souls and admire the immense green of mountain ranges and the endless glistening yellowish color of terraced rice fields. The waterfall is a harmonious combination of nature and life that wait to be discovered. Tourists will have the chance to release all of their worries and burdens to explore this romantic land with sounds and melodies of mountains and streams running through and birds singing away in the jungle. The sightseeing spot is home to a large community of ethnic minorities such as Mong, Dao and Giay whose cultures and lifestyles are charming for visitors to learn about. Many local residents would gather at the foot of the waterfall to open a small flea market to sell their specialties for tourists. The road to Thac Bac (Silver Waterfall) is really an unforgettable experience with terraced fields, lush forests, and flowers blooming. To reach the waterfalls, you can travel from Sapa centre by private car or, if you enjoy the adventure, by motorbike in only 30 minutes. 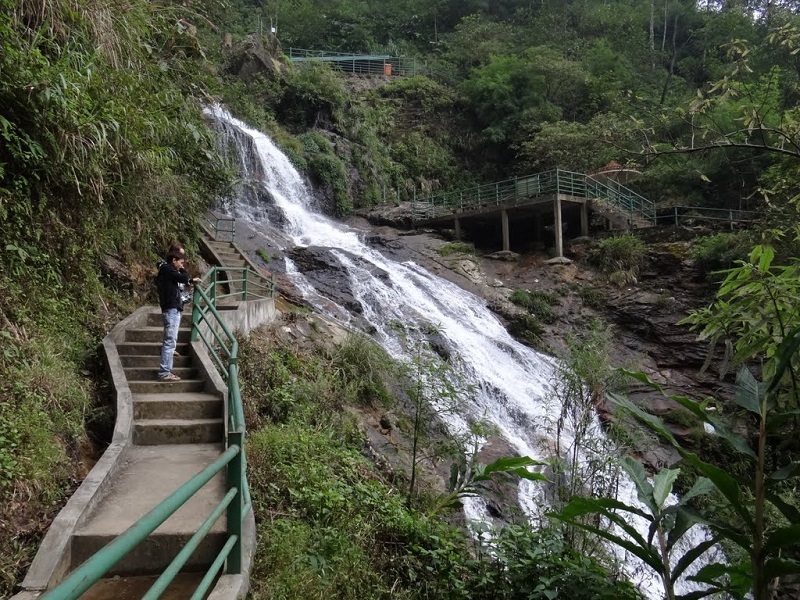 In particular, far only about 2km from Silver Falls, after your visit to the waterfall you are able to set foot on Tram Ton, where departs the journey of conquering Fansipan peak. Magnificent natural scenery on the trips, the pine forests, the chayote gardens spreading over the hillside, the lush fields of roses year round will make you being immerse in the impressive nature. 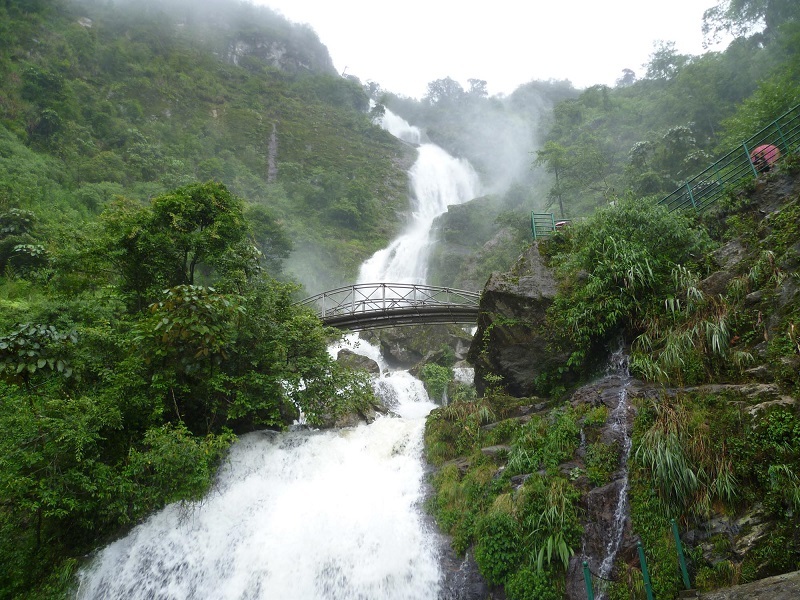 Discovering Silver Waterfall is one of the most unforgettable things to do in Sapa. Going ahead of the winding roads, breathing in the mountain air, and hearing the birds, will make enjoy the nature and forget the big cities. In Sapa there are four seasons having mist in the early morning. Especially the area around the Silver Waterfall has a chilly summer. So that, this place is a famous spot and is regularly visited by monks to pray. A breathtaking view of Bac Waterfall in Sapa Town in Lao Cai Province. Therefore, visitors to Thac Bac can buy some unique products such as bamboo shoots, chayote, honeybee, and especially hand-made brocade products. 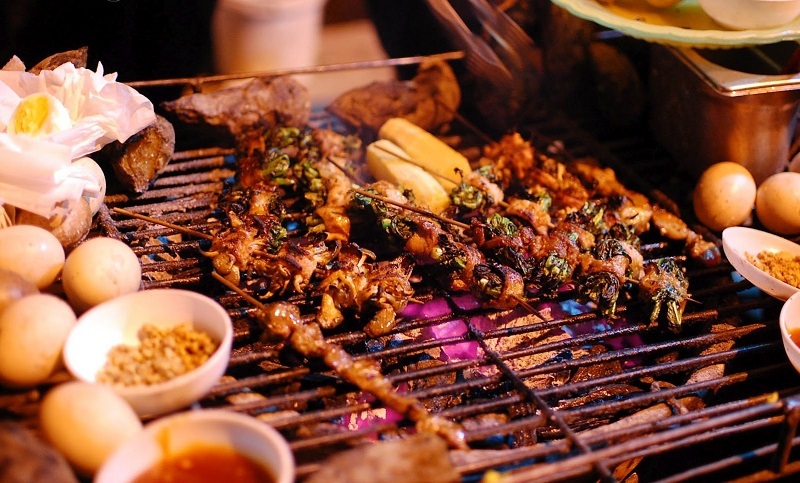 In addition, tourists can also enjoy corn wine and grilled dishes such as grilled pork, grilled eggs and grilled corn. Local ethnic people in the area are known for their great hospitality with warm handshakes and big smiles on their faces towards tourists.